What is the meaning of mobile first? Mobile first focuses on the mobile version of a website rather than the desktop version. Historically Google has always crawled, and indexed websites based on the desktop user, but mobile search now outweighs desktop users, so because Google wants to deliver the best results and experience for its users, in a few months Google will be starting to prioritise the mobile first over the desktop. A mobile first approach is a challenge for all of us to ensure the mobile experience we provide people is good and that you take into consideration the content being served on your desktop site may not sit well when viewed on mobile or there maybe tons of scrolling needed, so perhaps adding a read more button which is active on the mobile site but hidden on desktop. Other factors will start to determine the rank of your website too such as the speed of your website which is a factor on desktop now, but slow loading times due to large images etc will need to be considered. 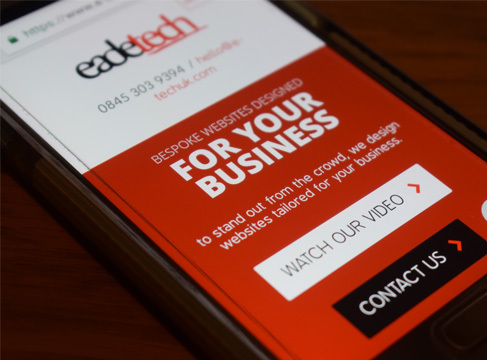 If you are running separate mobile desktop site, Google suggests having one site that responds to the device it's being viewed on, the so getting your website responsive to mobiles is essential before this update goes live. If you don't have mobile responsive pages, this won't help in ranking the content you have which if a responsive website will have the same content on mobile as desktop. If you don’t currently have a mobile website, even though Google wants you to have a mobile website, Google will still index your desktop content, so no worries there. Ensure you have at least a responsive website for now, so the content you're serving is constant over all devices. Start to assess the content on your mobile device and ensure the content isn't overpowering other elements or getting in the way of someone clicking a button for an enquiry or selling a product etc. Look closely at the speed of your website and try reduce the amount of code, scaling down images for the mobile. Google will continue with a split desktop and mobile ranking index but eventually Google will want to have 1 index. This will focus on the ranking of your website based on how your mobile site is performing, so consideration of content, speed of your website will all come into play.